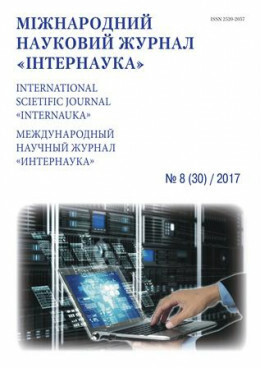 Obushenko T. I.Tolstopalova N. M.Yatsentiuk I. V.Kurilenko V. S.
Summary: Experimental data on the removal of arsenic compounds (V) with water sample with a starting concentration of 500 mg / dm3. Considered coagulation and sorption methods of removal of arsenic compounds (V). A combined method of treatment, which in the first stage will include coagulation, and the final - sorption. Key words: water, coagulation, sorption, activated carbon.